Haudenosaunee harvesters have legal treaty rights to hunt at Short Hills Provincial Park and, for the past 5 years, have held an annual harvest of white-tailed deer. However, approximately 25 local community members oppose this treaty right and have put up a physical barricade blocking Haudenosaunee hunters from having direct access into, and out of, the park. The anti-hunt protesters established a vehicle stall that was supervised by the Ontario Provincial Police and the Niagara Regional Police Department. During this time, anti-hunt protesters surrounded hunters’ vehicles, aimed their flashlights into the faces of Haudenosaunee drivers, and their passengers, and called out various derogatory statements. In response, a solidarity picket was established (in consultation with the Haudenosaunee Wildlife and Habitat Authority) by Supporters of the Haudenosaunee Right to Hunt. Over the years, the vehicle stall has been reduced from 10-20 minutes per vehicle (3 years ago), to a stall of 5 minutes per vehicle (Nov 2016). 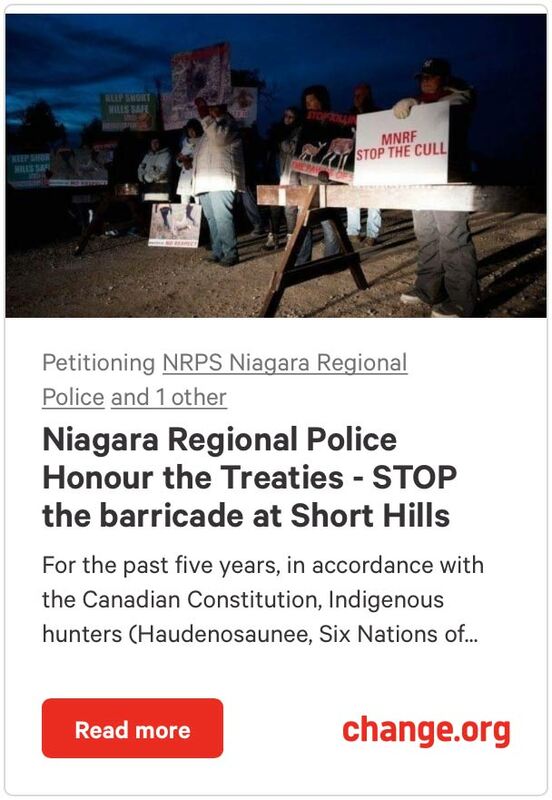 Although the stall has been reduced in time, the Haudenosaunee Wildlife and Habitat Authority and the Supporters of Haudenosaunee Right to Hunt are of the opinion that the Niagara Regional Police and the OPP must no longer allow this illegal barricade. The harvesters have legal and inherent rights to Short Hills, and settlers should not be allowed to intervene. In fact, the assumption that members of settler society should be involved in determining what happens on Haudenosaunee traditional land is quite troubling. It is important to note, too, that non-Aboriginal (white) hunters who hunt in the surrounding areas, in deed even across the street from Short Hills Provincial Park, have not been subjected to any form of protest. 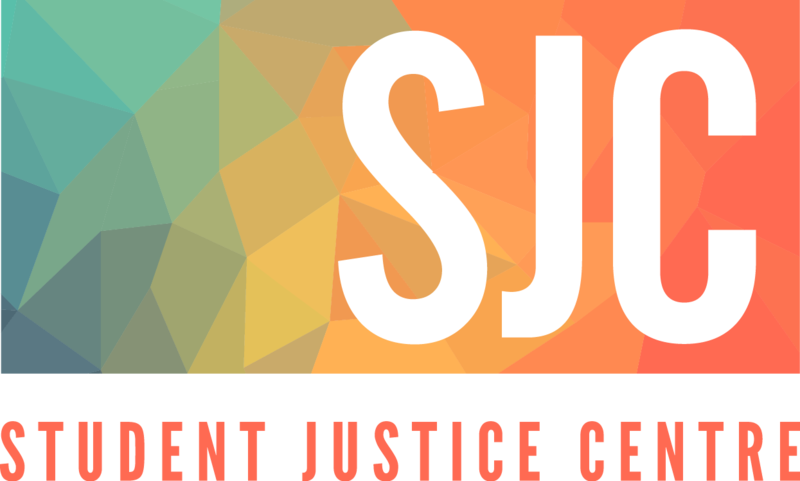 Educational activities and events are designed as an opportunity for the Niagara community to learn more about this critical social justice issue and to come out to the Short Hills in a peaceful, non-violent manner to show that we will not tolerate anti-hunt racism and on-going efforts at colonialism and cultural assimilation. Community members are invited to bring a lawn chair, an open mind and positive energy.